WINNERS! Best of the Best! 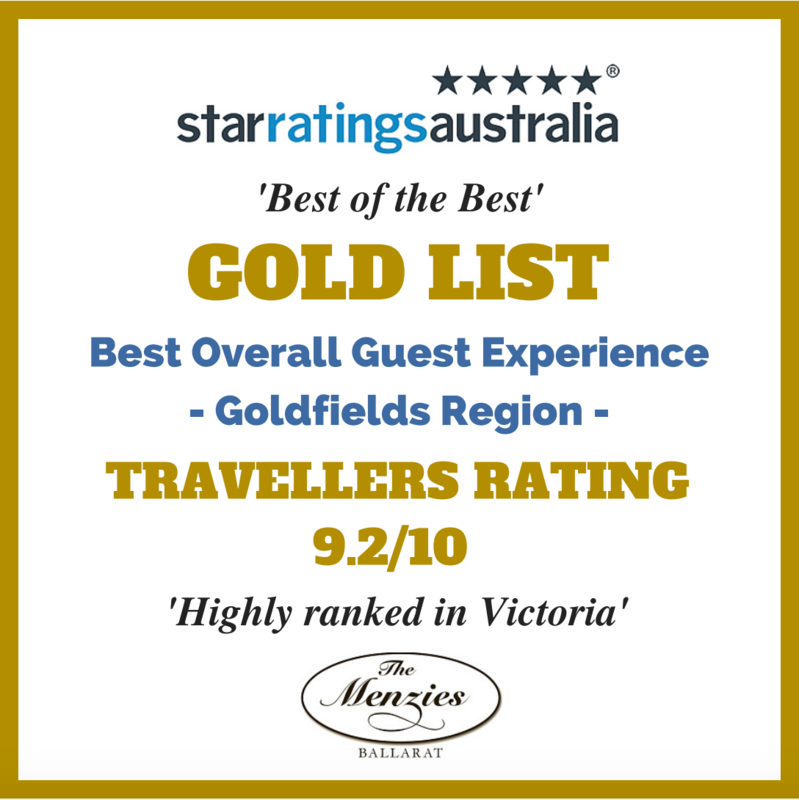 Proud recipients of an award from Star Ratings in their GOLD LIST Best of the Best! 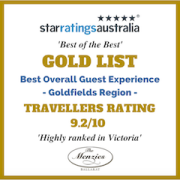 We ranked as the Best Overall Traveller Experience Motel in the Goldfields Region with a 9.2/10 rating! Thank you to all of our lovely guests who stayed with us! Here is to a bigger and better 2016! Centrally located accommodation in the heart of Ballarat on historic Bakery Hill and within minutes of the city centre, things to do and a great selection of restaurants. The Quality Inn & Suites The Menzies is the ideal place for an overnight stay or an extended getaway in Ballarat.